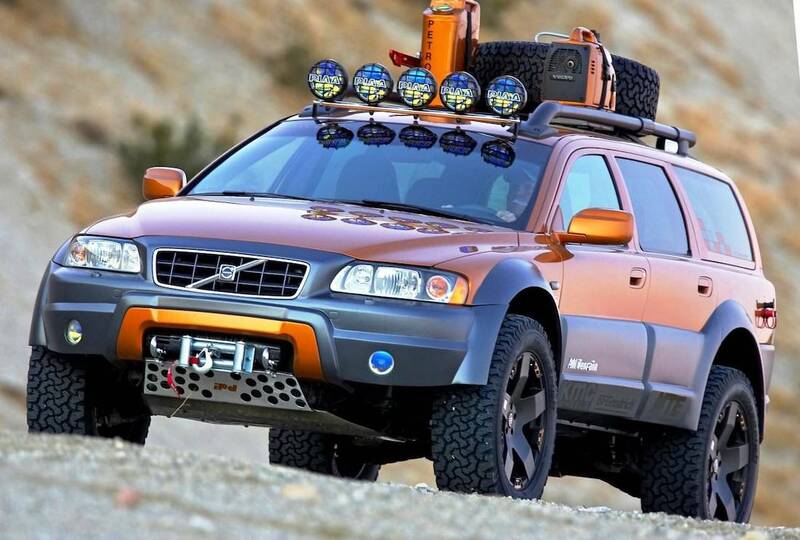 Yes, these images are from way back in 2005, when Volvo built this dream wagon for the Las Vegas SEMA trade show. 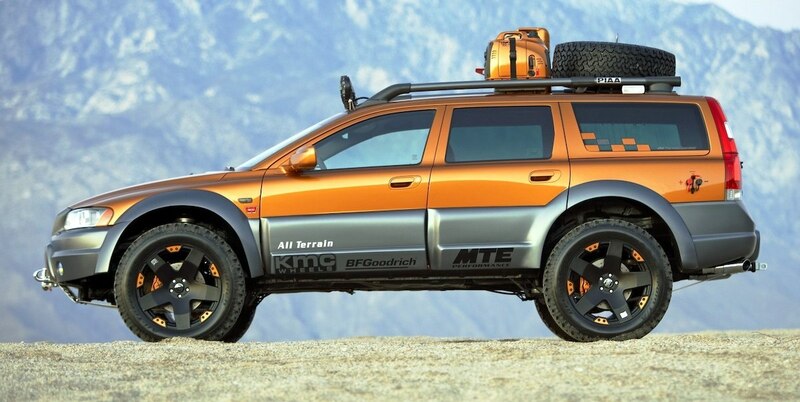 But this was a real-deal AWD Volvo wagon built to handle anything, and to look terrific doing it. Underneath all those ad-ons is a Volvo XC70 with the legendary 2.5L turbocharged 5-cylinder engine. This particular model had a modded engine that cranked out 408 horsepower, enormous 20-inch wheels wrapped with BF Goodrich ATs, and powerful Brembo brakes. A four-inch lift was added too, along with a full light bar, a Warn winch, and, supposedly, neoprene-covered seats. No idea what happened to this car, presumably somebody owns it, and is hopefully zooming along a dirt road somewhere, appreciating their incredibly good fortune. Wish I would have had this vehicle this morning on my way to work. The powers that be in the city where I live and work decided not to bother with plowing any of the city’s streets after a fairly heavy overnight snowfall. So traffic was, as to be expected, a mess. Driving this beast might have made me feel a bit safer we trudged through the mess. Otherwise, it’s a beautiful looking machine.